Simple celtic silver knot necklace. 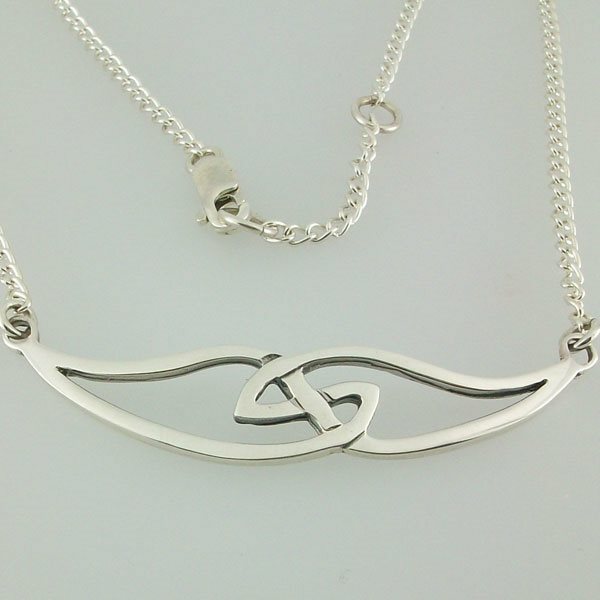 This Ruabhal Necklace is 412mm (16") in length and the charm is 73mm . Approximate weight in silver is 7.5g. Gold is generally 10% heavier.